Feeling safe and secure at home is a priority for any homeowner. But safety is of particular concern for aging men and women who are at greater risk of being involved in accidents at home than younger men and women. Harvard Health Publishing says that accidents at home are among the leading causes of injury and death in the United States. The chances for fatalities increases as one ages, and by age 75 and older, men and women are almost four times as likely to die in a home accident as people a decade younger. As people age, their balance, eyesight and general physical abilities can begin to diminish. Furthermore, a fall or incident that may only bruise a younger individual can cause more serious breaks or damage for seniors, resulting in potentially lengthy recovery times. The Home Care Assistance organization says that one million elderly people are admitted to the emergency room for injuries every year. People concerned about the safety of their homes or the homes of their aging loved ones can retrofit such properties to make them safer. According to The Senior Social Club, which offers care and community services to seniors, falls are the most common accidents affecting seniors. One out of every three seniors aged 65 and older falls at least once a year. In addition to working with doctors to improve mobility and modify medications that may cause unsteadiness, changes around the home can help. Grab bars placed in bathrooms and high-traffic areas can help seniors get stay more stable when changing from sitting to standing positions. Potential tripping hazards should be assessed. 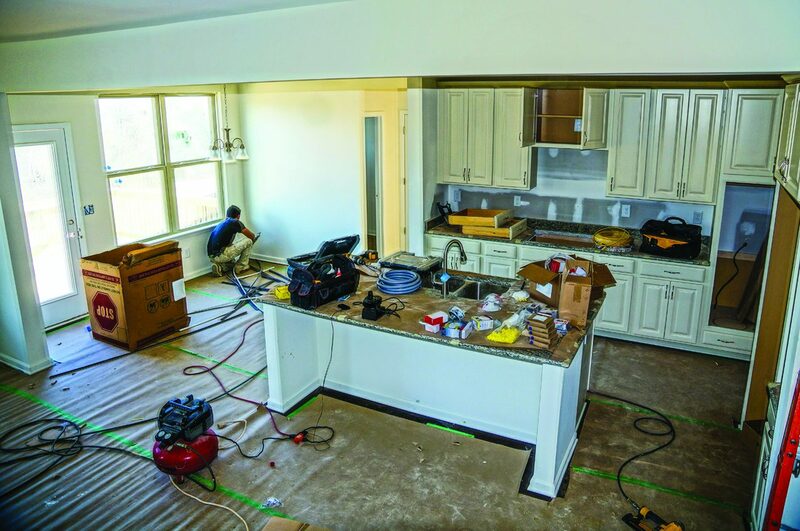 Area rugs without nonskid backings, clutter on floors, extension cords that extend into walking areas, and uneven flooring pose tripping hazards. Anti-slip coatings can be added to floors to reduce the risk of tripping. 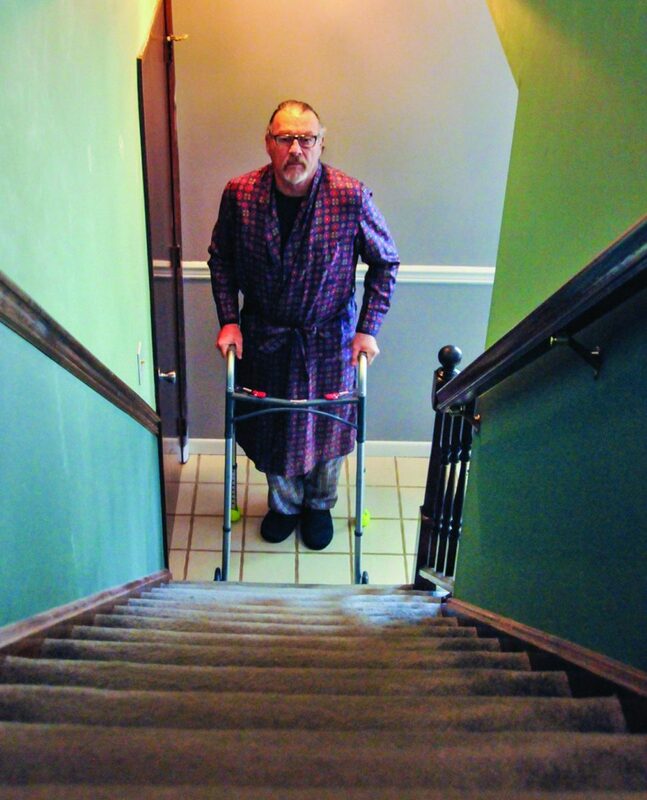 Poorly lit staircases and entryways also can contribute to falls. Consider the installation of motion-activated lighting so that dim areas can be automatically brightened when necessary. A nightlight or LED lights placed near molding can help guide seniors to the bathroom during midnight visits. Arthritis can impede seniors’ ability to turn on and off appliances, water faucets or handle certain kitchen tools. 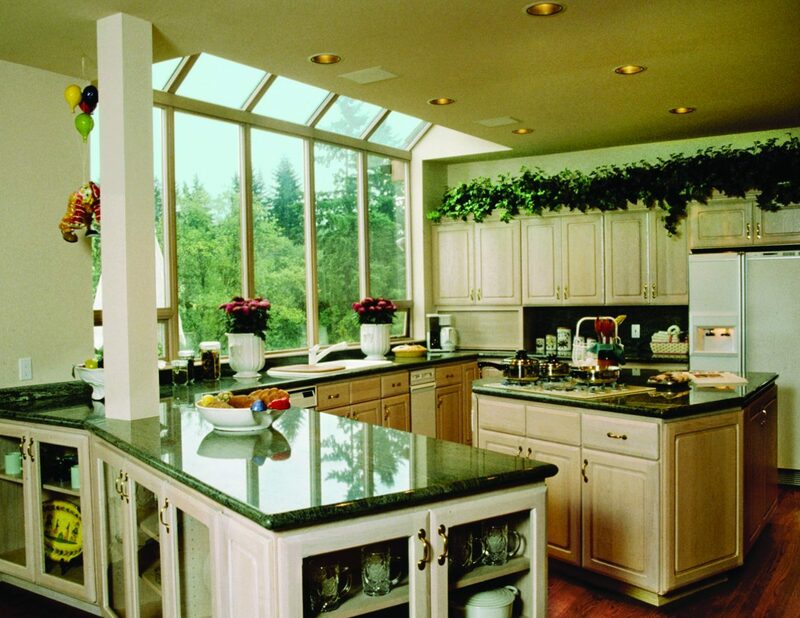 Kitchen and bathroom modifications can include the installation of ergonomic and user-friendly handles and spigots. Task lighting can make it easier to prepare meals, and appliances that automatically turn off after a certain period of time can be a safety feature for forgetful individuals. Reorganize kitchen cabinets to make commonly used items as accessible as possible. Friends or family members can have greater control over seniors’ homes by installing smart home systems. This way they can remotely adjust thermostats, control lights, view cameras, engage locks or alarm systems, and much more without having to be at the home. This can seniors allow seniors to maintain their independence while offering peace of mind to their loved ones. 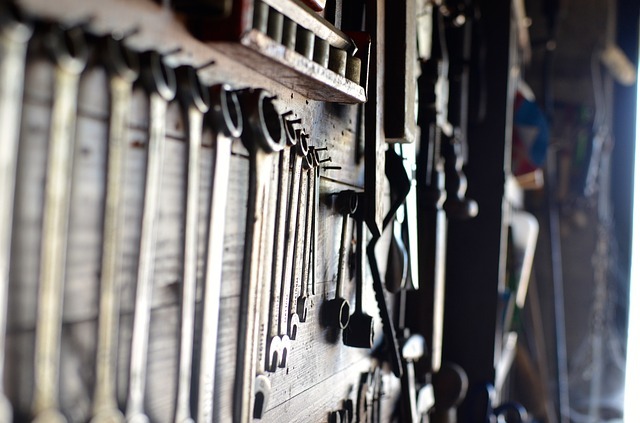 Certain home modifications can reduce seniors’ injury risk. Spring and summer may be the seasons most often associated with landscaping and lawn care, but tending to lawns and gardens is a year-round job. If lawn and garden responsibilities dip considerably in winter, then fall is the last significant chance before the new year that homeowners will have to address the landscaping around their homes. Fall lawn care differs from spring and summer lawn care, even if the warm temperatures of summer linger into autumn. Homeowners who want their lawns to thrive year-round can take advantage of the welcoming weather of fall to address any existing or potential issues. BUT adjust how you mow. It’s important that homeowners continue to mow their lawns so long as grass is growing. But as fall transitions into winter, lower the blades so the grass is cut shorter while remaining mindful that no blade of grass should ever be trimmed by more than one-third. Lowering the blades will allow more sunlight to reach the grass in the months ahead. Much like apple-picking and foliage, raking leaves is synonymous with fall. Some homeowners may wait to pick up a rake until all of the trees on their properties are bare. However, allowing fallen leaves to sit on the ground for extended periods of time can have an adverse effect on grass. Leaves left to sit on the lawn may ultimately suffocate the grass by forming an impenetrable wall that deprives the lawn of sunlight and oxygen. The result is dead grass and possibly even fungal disease. Leaves may not need to be raked every day, but homeowners should periodically rake and remove leaves from their grass, even if there are plenty left to fall still hanging on the trees. Summer exacts a toll on lawns in various ways, and even homeowners with green thumbs may end up with a lawn filled with bald spots come September. Autumn is a great time to repair these bald spots. Lawn repair mixes like Scotts® PatchMaster contain mulch, seed and fertilizer to repair bald spots, which can begin to recover in as little as seven days. Before applying such products, remove dead grass and loosen the top few inches of soil. Follow any additional manufacturer instructions as well. Aerating reduces soil compacting, facilitating the delivery of fertilizer and water to a lawn’s roots. While many homeowners, and particularly those who take pride in tending to their own lawns, can successfully aerate their own turf, it’s best to first have soil tested so you know which amendments to add after the ground has been aerated. 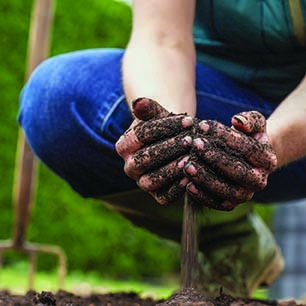 Gardening centers and home improvement stores sell soil testing kits that measure the pH of soil, but homeowners who want to test for nutrients or heavy metals in their soil may need to send their samples to a lab for further testing. Fall lawn care provides a great reason to spend some time in the yard before the arrival of winter. Injuries that occur around the home contribute to millions of medical visits and tens of thousands of fatalities each year. Falls account for the largest percentage of home accidents, with the U.S. Centers for Disease Control and Prevention reporting that around 30,000 fall-related fatalities occur each year in the United States. Many home accidents are entirely preventable when proper caution is exercised. 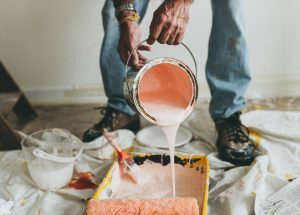 As homeowners prepare for home-improvement projects, improving safety inside and outside the home should be a priority. One of the easiest ways to reduce the risk of falls is to improve lighting around the home. The National Institutes of Health state that adequate lighting is important at entrances to the home, stairways, hallways, and other frequently traversed areas. Make sure lighting fixtures are using the highest wattage light bulb allowed. Artificial lighting sources become even more vital in fall and autumn, when natural light is less abundant in a home. In addition, install lighting outdoors by the front door, over the garage and where garbage pails are stored to facilitate safe passage. Improving traction around the house also can minimize falls. Throw rugs and runners can be made more secure with nonslip rubber backings. Bath rugs can reduce slipping on wet surfaces in the bathroom. Also, nonslip mats can be used inside of showers and bathtubs. Use shoe trays to reduce puddling from melting snow or rain runoff in entryways. Mop up spills quickly, and consider the use of matte- or textured-finished flooring to improve stability underfoot. Promptly remove snow and ice from driveways and walkways. For those who live in cold climates, heated concrete can help melt precipitation before it accumulates. Repair loose floorboards and pull carpet taut if it has started to stretch out. 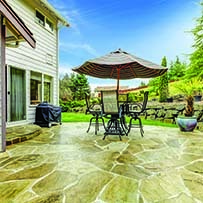 Address cracks outdoors and ensure that patio stones, bricks and pavers are secure and level to reduce tripping hazards. Fix areas of the landscape where water may pool and freeze, creating potential hazards. Remove unnecessary items and furniture from rooms to free up more space to get around. Be sure there are no obstructions in walkways, entryways and near doors. Keep staircases clear at all times. 5. 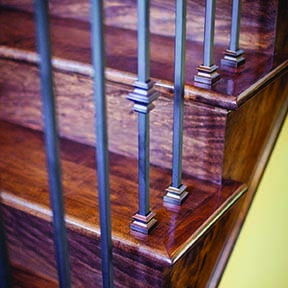 Invest in assistive devices Handrails, grab bars, nonslip stair treads, and many other devices can make homes safer for people of all ages and abilities. Outfit cabinets and closets with organizers that put frequently used items within easy reach. A sturdy step stool can reduce the risk of injury while reaching for items stored on high shelves. Taking measures to reduce the risk of falling around the home is a worthwhile home improvement project. Other systainer® options include the SYS-Combi II and III units that offer the open storage space of SYS-II and SYS-III systainers on top and a handy small parts storage drawer on the bottom. The pullout drawer provides divided storage compartments for small parts. For more customizable storage, the Tanos T-LOC SYS-Sort IV/3 systainer has three levels of parts and tool storage, and each drawer opens within the stack for easy access. Drawers can be customized with bins or the optional drawer accessory pack (both sold separately) to fit your needs exactly. Like other systainers, the SYS-Combi II and III and T-LOC SYS-Sort IV/3 can be connected by the T-LOC to other systainers, Tool-Box, Storage-Box and systainer® Classic Line to make the ultimate storage system. Keep long material — lumber, PVC/copper pipe, molding, millwork and similar items — handy but out of the way with the Lumber Rack Storage System. System includes all the uprights (24″ and 55″) and brackets (10″, 14″ and 18″) needed to efficiently store a variety of 8′ lengths of material. The 18″ bracket will support a 300-lb. load at the tip. Shorter brackets will support even more weight. Add a board and use the system for general storage. Another option for expanding storage space is to build shelves for all the “empty” spaces along walls or in corners with Baltic Birch Plywood. This finished plywood comes in 3⁄4″ x 12″ x 60″ pieces and features a clear durable topcoat on both sides that resists scratches and chips, making it perfect for building custom shelving in rooms, closets, garages and shops. Customize your lumber, pipe and accessory storage with six shelf brackets included with the WoodRiver HD Shelf System. Moving them in 6″ increments on the upright supports accommodates a wide range of long materials. Add a flat board to store boxes, bins, cans of finish and more. 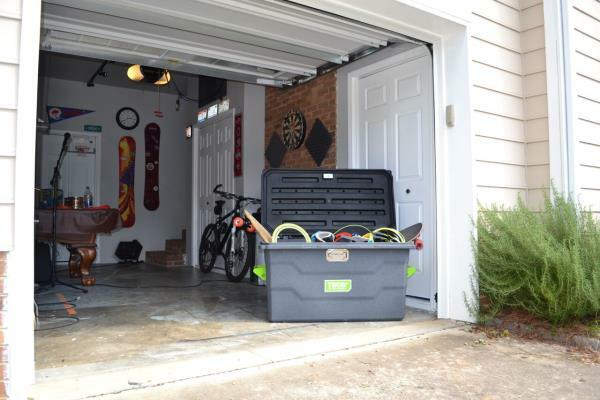 Other ready-made racks include the Akro-Mils 24″ Tool Storage Rack that holds up to 96 tools, and Monkey Bars Racks that are available for just about everything, from garden tools to coats to bikes to camping gear. • Heavy-Duty Casters mobilize shop machines and even furniture for easy storage and use. Castors have easy rolling, non-marring polyurethane wheels that will not “flat spot” from remaining stationary. • A Grip Magnetic Bit Holder will keep 36 driver bits, 1⁄4″-shank router bits or CNC bits organized. • The WoodRiver Blade Keep 10″ Red Silicone Saw Blade Cover protects saw blades. • Wrap N Strap Adjustable Straps for Cords and Cables come in 5-Piece Sets. The adjustable cord organizer consists of a rubber strap (available in 6″, 7″ and 9″ sizes) and a plastic fastener for attachment. Straps will corral power and extension cords of all sizes, organize computer cables and bundle and carry everything from quarter round to water pipe, including dust collection hose. • The Rotating Bur & Tool Holder, set on a lazy Susan mechanism, will keep all your small tools, burs and drill bits within easy reach. • Woodcraft’s 30-Pocket Tool Roll and 21-Pocket Tool Bag provide portable storage and transport to keep tools or other similar items safe. • Pick & Pluck 10mm Rigid and 25mm Smooth Foam, closed cell foam specially designed for Systainer® T-LOC 1-5 (I, II, III, IV & V), fits snugly into the base of the systainer. Each unit features a grid of perforated cubes, 15mm x 15mm, so you can customize the inside shape of just about anything you wish to store or transport. Modern families seem to be juggling more than ever before. When time seems to be a luxury, an ability to stay organized can help families manage the hustle and bustle of daily life more effectively. An online survey conducted by an internal research team on behalf of The Huffington Post polled more than 1,000 American adults in 2013, revealing 84 percent of recently stressed Americans say they worry that their home isn’t clean or organized enough. Within that group, 55 percent cited disorganization at home as a source of recent stress. Disorganization does not occur overnight, and neither will getting re-organized. But with some motivation, all families can become more orderly. Families can usually use more help getting out of the house each morning in a timely manner. Each member of the household should have a designated area where they keep the items they will need for the next morning. Backpacks and briefcases should be prepacked, and lunches made the night before. 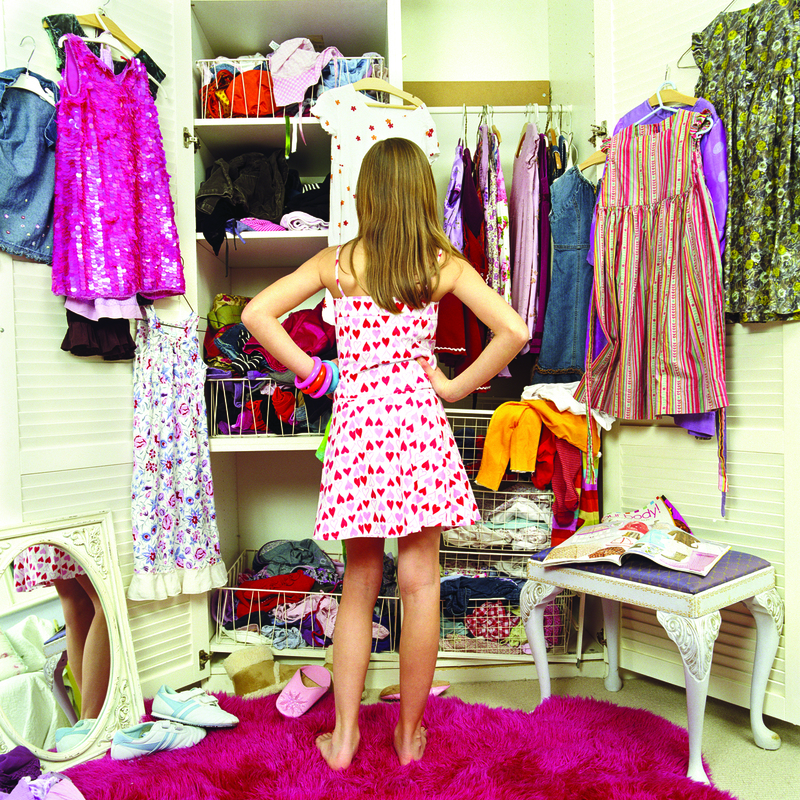 In addition, sort the next day’s clothes before going to bed. Such efforts should make it easier to get out of the house on time each morning. Home entryways are usually hubs of traffic. Such areas are the first and last place family members go when entering or leaving the house. As a result, these areas are in need of some routine organizational attention. Use sorting bins for shoes, hooks for coats, trays for mail or homework, and other sorting equipment to keep things tidy and orderly. Take a hard look at what you use and what you don’t use around the house. Holding on to items you rarely use can contribute to clutter and create a disorganized home. Save only a few sentimental items, donating, recycling or discarding the others. Many organizational experts suggest going through items one by one and asking oneself if this is something that has been used recently. If it’s been collecting dust for a year or more, it can go. 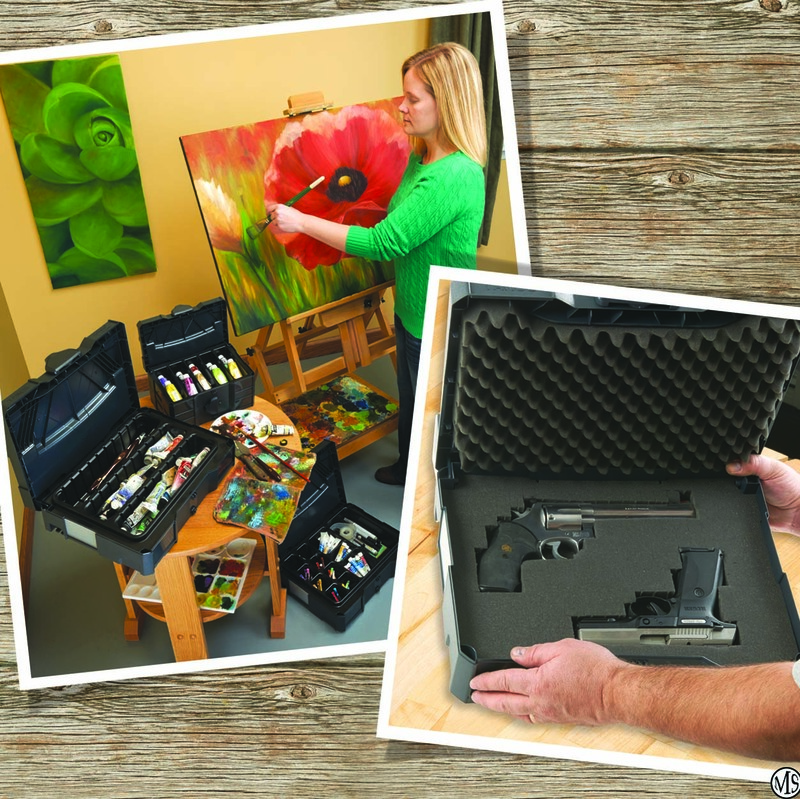 Analyze what you have and then find sensible storage solutions. Store belongings in the same place each day so items are easy to find when needed. Frequently used items should be easily accessible. Seldom used items, such as holiday decorations, can be stored out of the way. It takes commitment and time to get organized. However, life tends to move along much more smoothly in organized homes than homes marked by clutter. Conservation methods can help save energy and preserve natural resources, but business owners may also be intrigued by the potential cost-savings of conservation. Utility costs vary depending on the size of a business, but the U.S. Small Business Administration notes that prospective business owners must estimate and include such costs when seeking loans to start their businesses. Estimated utility costs can be intimidating, especially for those owners who have never before owned their own businesses. Traditional conservation methods like recycling and reusing are great ways to conserve and save around the office, but business owners also can embrace some other ways to lower their office energy costs while benefitting the planet at the same time. Many utility companies will conduct energy audits free of charge or for nominal fees. These audits typically include onsite visits, during which auditors will look for areas where business owners can conserve energy. Determine how much space you truly need. Current business owners and prospective owners can save substantial amounts of money and avoid wasting energy by giving ample thought to how much office space they truly need. Large office spaces may not be necessary for businesses that recently downsized staff, while those starting out may want to start in small spaces before upgrading to larger spaces if and when their businesses expand. Small business owners leasing their office space can speak with their leasing agents to determine if they can include a clause in their lease that allows them to move into larger spaces if the need arises before their existing leases expire. Based on an analysis of data from the U.S. Census Bureau’s 2005-2014 American Community Survey conducted by GlobalWorkplaceAnalytics.com, a typical business would save $11,000 per person per year if it allowed its employees to work from home just half the time. Those cost-savings can be traced to numerous factors, and lower utility costs in the office as well as the need for less office space are among them. Many homeowners use programmable thermostats and other eco-friendly tech products to lower their monthly utility costs at home, and businesses can follow suit. LED lighting around the office can substantially reduce office energy consumption and costs, while business owners who own their office buildings might be able to install solar panels that will dramatically reduce energy costs and even pay for themselves over time. Conservation is not just for home, and business owners confronted with rising energy costs can find numerous ways to lower their energy expenses while simultaneously helping the planet.